← Rubbish or a craft resource? For the week commencing Monday 26th January, volunteers from the WSCC West Sussex Waste Prevention Advisors scheme, District and County employees, University Students and surprise guests will be talking complete rubbish from a Pop-up-Shop in the Swan Walk shopping centre, Horsham. Recycling a volunteers suggestion has led to the taking over of a vacant unit at the centre to showcase the skills and ingenuity of the team while promoting the West Sussex waste initiatives. People of all ages are encouraged to visit the shop to talk rubbish (we do it all the time), recycling and reuse, we will have examples of what you can do to help prevent the amount of waste sent to landfill, activities to engage with, oodles of ideas to impart (e.g. 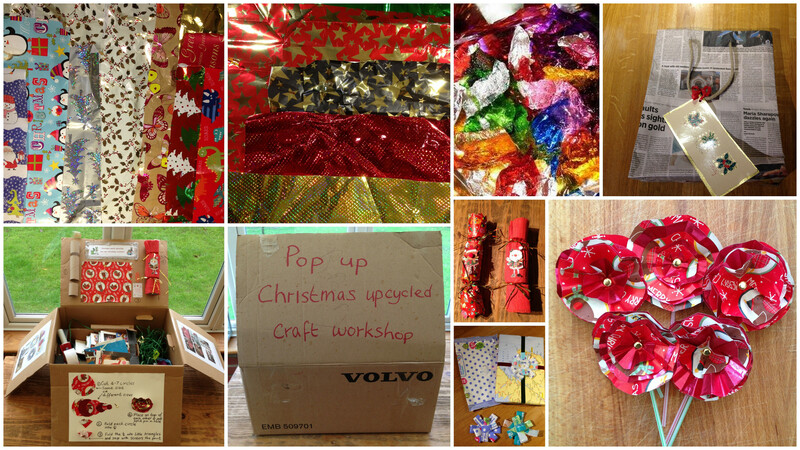 bring your used wrapping paper or Christmas cards for some amazing reuse ideas) and opportunities for you to make suggestions and present waste related ideas that we can feed back to the appropriate people. Store and conveniently close to one of the in/out entrances to the car park. We are there all week including Saturday and Sunday (Children more than welcome in fact we look forward to their particular input). 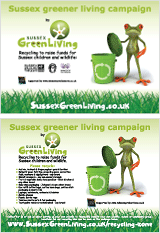 Sussex Green Living will be there 10 – 12 noon on Monday, Tuesday and Wednesday helping visitors to the shop make upcycled crafts out of rescued Christmas waste resources! Car parking – available in adjacent local authority multi-story car park. Open 24/7, charges apply. Bus Station next door to the square. 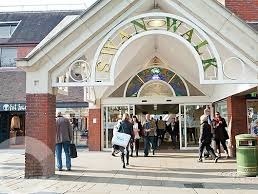 Horsham railway station – approx 10 minute walk away. This entry was posted in Events, Green art & games, Green stats, facts & news. Bookmark the permalink.